Home What if at least half of water emissions are recovered? 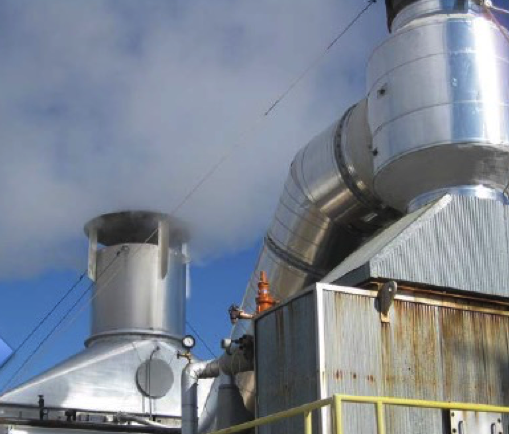 Steam is one of the main energy carriers in industrial processes. 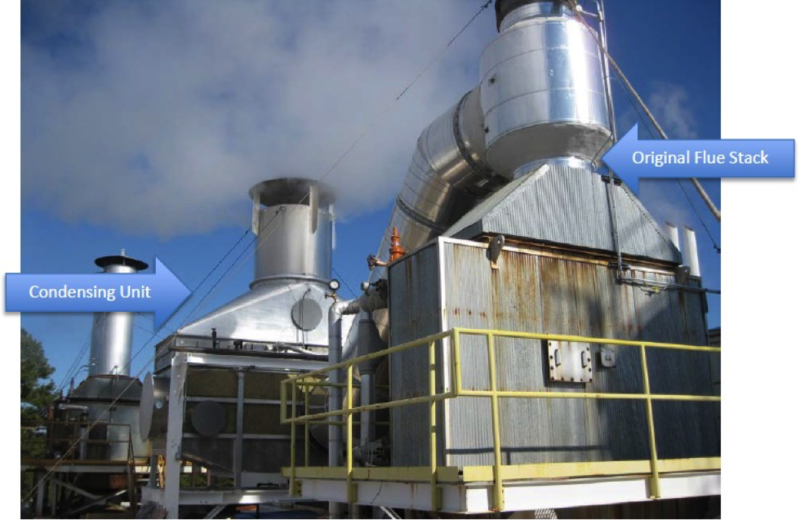 However, sometimes steam is lost to the atmosphere with no use, for example through flue gases. If steam is condensed out to form condensate, it will not only recover latent heat of vaporization, but also the valuable resource ‘water’. This water can be used as make-up water for boilers, process water or for sanitation purpose etc. 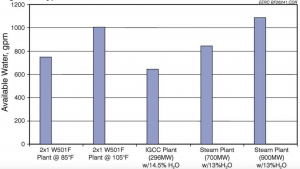 Following figure is an eye opening for how much water is wasted to the atmosphere through the flue gas streams of different kinds of power plants. What if at least half of these emissions are recovered? Assuming price of water as 2.5 €/ m3 and 6000 operating hours per year, 900 MW steam plant will save 1.8 million € per year if half of the steam emissions are recovered as water!!!! By effectively utilising this latent heat available in natural gas fired power plant, the heat recovery possibilities that can be achieved with various flue gas temperatures are shown on this figure. There are different ways of recovering water from steam available in exhaust gases. One method called liquid or solid sorption uses a liquid or solid desiccant to chemically absorb or physically adsorb water from the gas stream. Liquid desiccants are mostly used in spray columns and solid desiccants are usually held in a packed tower or a rotary wheel. Solid desiccants cannot be used in applications with high moisture load due to rapid saturation. Therefore liquid systems are more common. Example configuration of such system in a coal fired power plant show here. 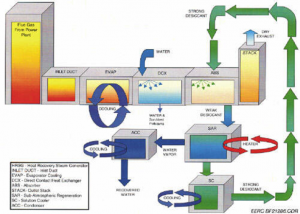 This method produce clean water, but no heat recovery is adopted. Another method available for recovering both heat and water is cooling down the gas stream below its dew point allowing the condensation of water available. 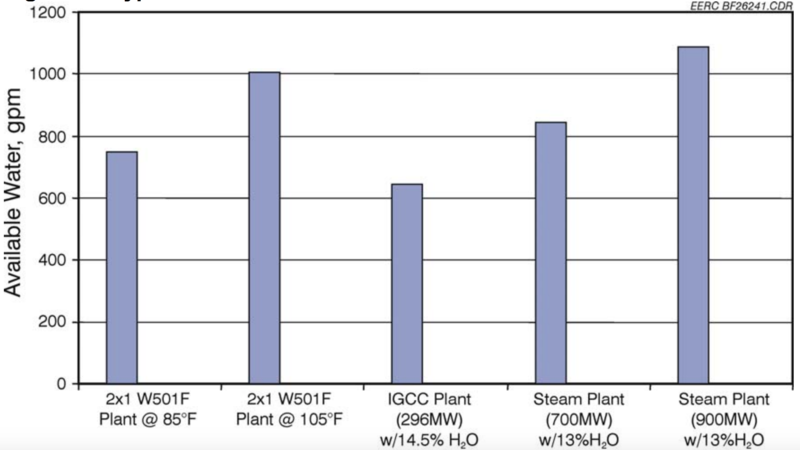 Example system of such heat and water recovery in a boiler exhaust is given in this figure. In order to ensure that the condensed water does not end up getting back to the boiler, the condenser unit has been installed alongside and lower than the original stack. 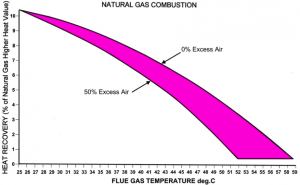 While condensation of water, it can be possible to condense out other corrosive acid gases. Therefore, the produced water may not in a very good quality. Also it is necessary to use anti-corrosive materials (stainless steel, aluminum, etc.) in this kind of system. However, the energy efficiency is improved considerably. 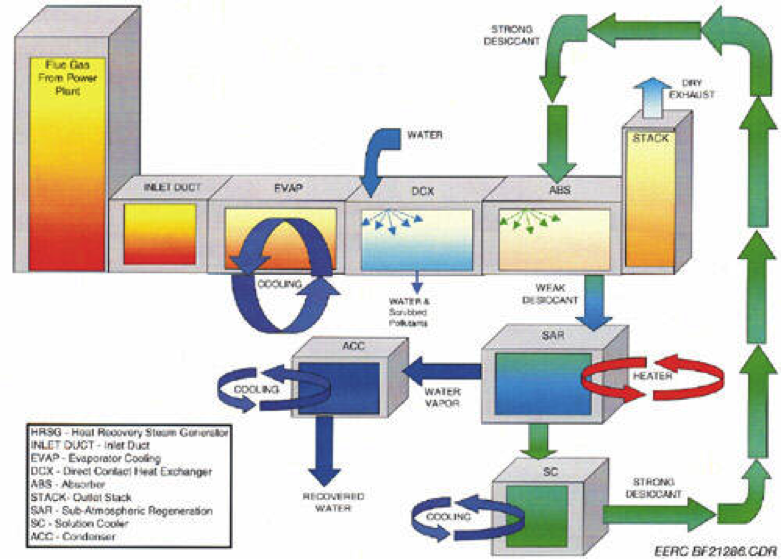 The technology for water recovery governed heavily by the dew point and water content of the gas stream. 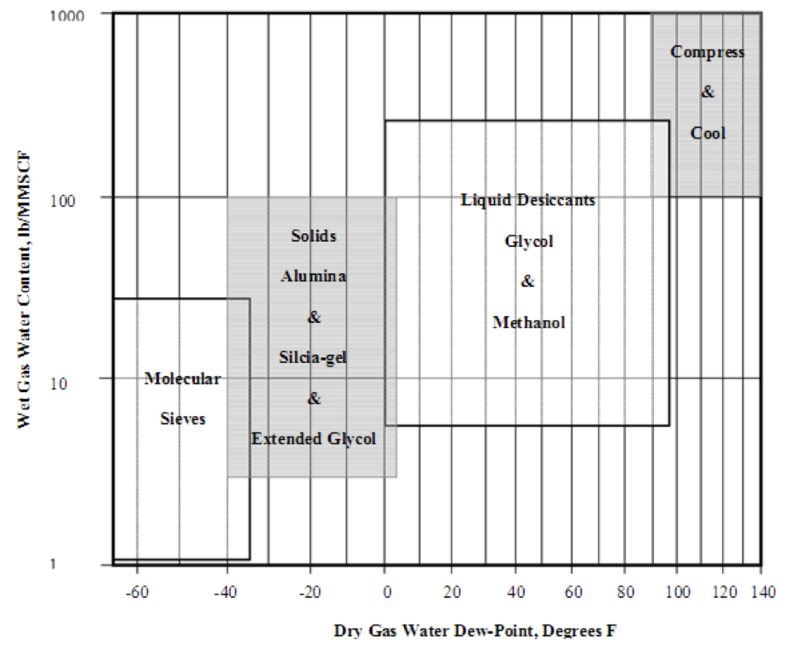 An evaluation criterion for different suitable technologies for natural gas dehydration is given in following figure. 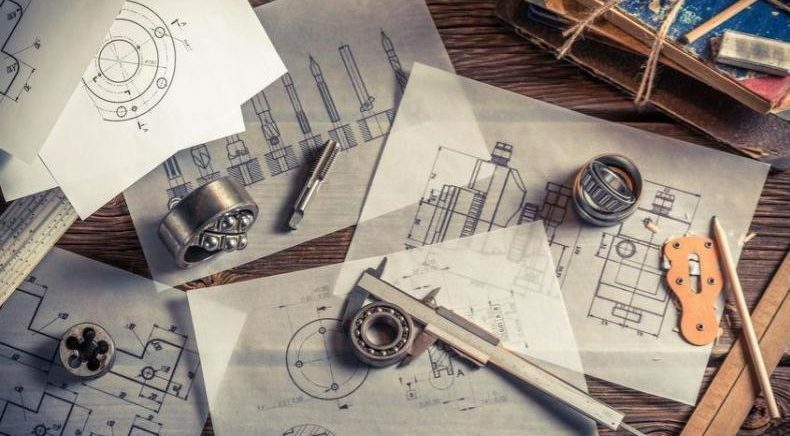 Even if above examples reasonably give general guidance on water recovery from steam, the selection of technology actually depends on the type and condition of the real application. 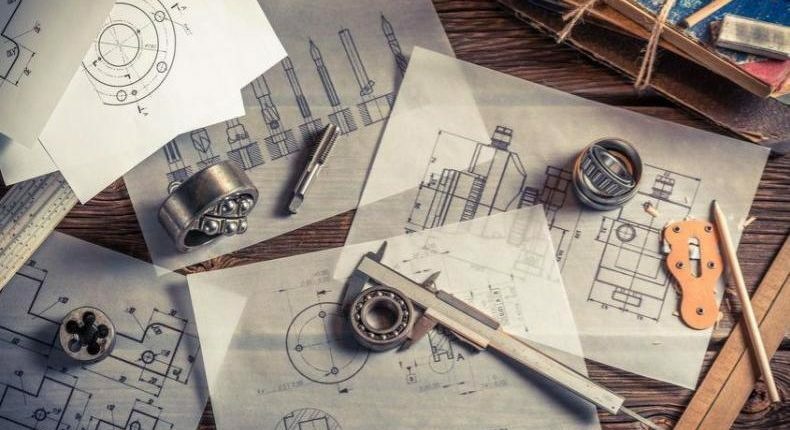 Are you an engineer? 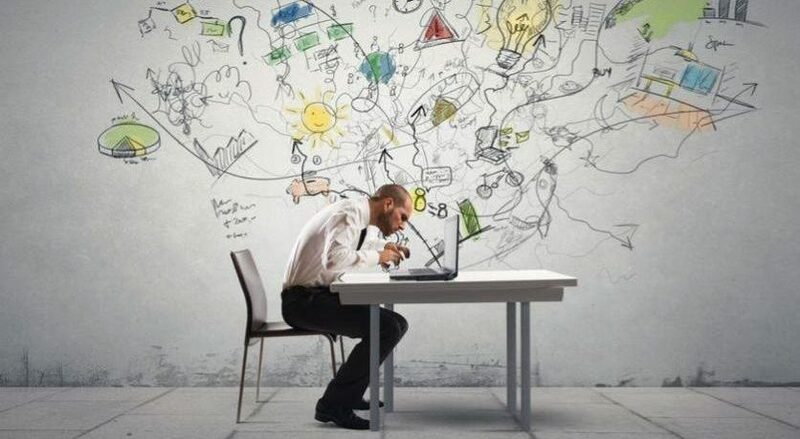 What was your best project that helped you save Energy? Would you like to help other companies? Would you contribute to a better world?